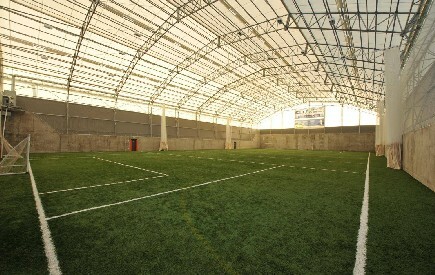 The indoor sports arena is one the first of its kind in this country; its 3G surface looks and feels just like real grass, while its translucent roof allows for training all year round; whatever the weather! The sports hall measures 60x40m and can be sub-divided into three small sized pitches if required! The insitu concrete walls are ideal for use to practice your hurling, handball or wall ball skills.